Campeche is a state located on the western side of the Yucatan Peninsula in southeastern Mexico. It borders the country Guatemala to the south and the country Belize to the southeast, and to the west lays the Gulf of Mexico. With a size of less than 58,000 square kilometers, Campeche make up no more than 2.6% of Mexico’s total area. The state capital, which is named San Francisco de Campeche, was declared an UNESCO World Heritage Site in the late 1990s. The city is normally referred to simply as Campeche or Ciudad de Campeche. The state is home to roughly 900,000 residents of which approximately two-thirds live in urban areas along the coast. Financially and population vise, the state has gone through both booms and busts. In the Mayan era, it was the home of several notable cities. During the colonial period, the city of Campeche was financially prosperous, since it was an important port. After Mexico gained its independence from Spain, the situation in Campeche deteriorated. The state was originally a part of the province of Yucatán, but split off in the mid-1800s, chiefly due to political disagreements with the city Mérida. In the 1970s, Campeche became more prosperous again, since petroleum had been found offshore, turning the cities Campeche and Ciudad del Carmen into important centers for the local oil industry. Before the oil boom, less than 220,000 people resided in the state. The majority language in Campeche is Spanish. Examples of indigenous languages spoken within the state are Maya, Chol, Tzeltal, and Q’anjob’al. Over 90,000 people speak here at least one indigenous language, and roughly 14% of those do not speak Spanish. Maya is by far the most widely spoken of the indigenous languages in Campeche, with over 70,000 speakers in the state. Chol is spoken by roughly 10,000 people here, while Tzetal and Q’anjob’al are spoken by less than 2,000 each. In the 1980s, Mennonites of German descent arrived to Campeche from Mennonite settlements in other parts of Mexico. They spoke Plautdietsch, and Campeche now have approximately 7,000 Plautdietsch speaking residents. Plautdietsch is a dialect of East Low German with notable Dutch influence. Data from the year 2010 show that roughly 60% of the Campeche population identified themselves as Catholic. Among those who were not Catholic, a majority belonged to Evangelical or Protestant Christian churches. There are several different airports that you can fly into if you want to visit the state of Campeche. The biggest and most popular option is Campeche international airport. Campeche offers a lot for you to do. It offers fantastic beaches, stunning nature and historical archeological sites to visit. 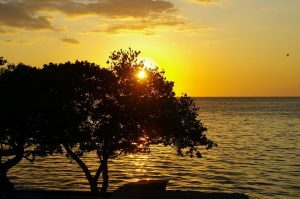 Everyone can find something to do when they visit Campeche. If you want a more historical trip then you can visit some of the many museums in the area and historical sites such as Balamku and Calakmul. If you just want to enjoy a nice vacation in the sun then you spend your time on the beach drinking umbrella drinks. At nights you can visit a restaurant, bar, nightclub or casino. If you are a nature lover then you can dive on fantastic reefs and visit unspoiled forest such as Calakmul biosphere reserve. Most types of gambling used to be illegal in Mexico up to the early 21th century. This did not prevent locals from operating casinos and other types of gambling establishments but most of these were illegal. Local law enforcement tended to look the other way. Today gambling is regulated by the “direccion general de juegos y sorteos”. Online gambling remains unregulated. Today there are over 200 legal casinos in Mexico and you find a couple of these in Campeche. Crown City Campeche: a large and well managed casino housed in an elegant building. This is my preferred casino in the area. It provides a nice casino experience and a good selection of games. Codere Casino Campeche: A slightly smaller casino that focuses more on slot machines and that feel a bit less refined. This is the better option if you like slot machines and cheap beer. Both these casinos are located near the beach and are less than 100 m apart. You can visit both before you decide which one you prefer to gamble in. I recommend that you do this because you might not share my opinion of the two casinos. Most online casino will offer better odds and a better selection of games than either casino. If you are simply looking to gamble, rather than spend a night out with friends, then I recommend that you chose to do so in an online casino instead. You can find reviews of different online casinos by visiting this website. They will also help you find the best casino bonuses available anywhere. Several caves can be explored with local guides. Examples of such caves are Chuncedro, Xculhoc and Xtacumbilxuna’an. There are a lot of Mayan sites to explore in Campeche. Compared to the more famous Mayan sites in other parts of Mexico, e.g. Tulum and Uxmal, the Campeche sites are more of a hidden gem and they do not attract as many visitors, so you are unlikely to have to deal with crowds during your visit. A majority of the sites are located in the forested interior of the state, but that doesn’t mean that the coast is devoid of them. Quite the contrary actually, since there are over 55 archaeological sites along the coast. This archaeological site, which extends over 70 square kilometers, was once one of the main cities of Mesoamerica, with numerous temples and palaces. It is believed to have been populated from around the year 1,000 BC and have reached its peak population around the year 600 AD. The temples built in the city was chiefly devoted to ancestor worship. In 695 AD, the city was conquered by Tikal, after which it deteriorated. Later, it was looted by grave robbers. Of the estimated 6,000 structures that once existed here, only six have been restored. In Maya, the name Calakmul means twin heaps. 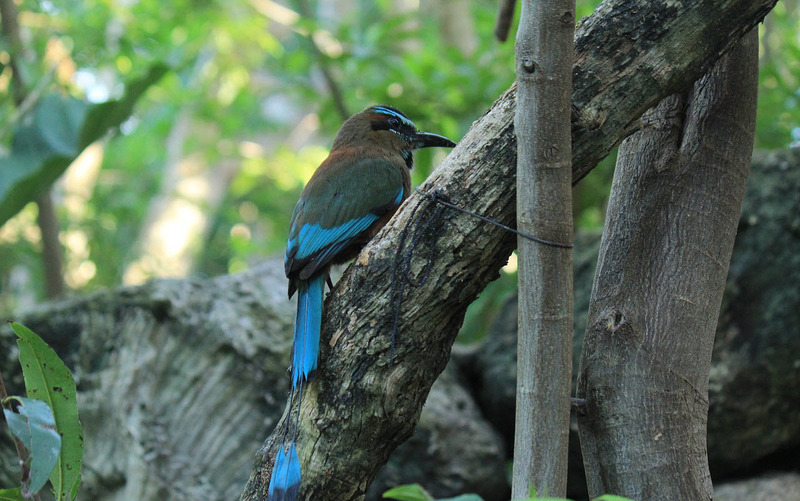 Calakmul is found in the Petén region, in the forested interior of Campeche. Edzna was one of the most important ceremonial centers during the pre-classic Maya period, i.e. 300 – 900 AD. Several Mayan temples have been built in Edzna, bordering a large acropolis. The architecture here show influence from both Petén, Chenes and Puuc. The most notable construction is the Pyramid of Five Floors/Stories, which was excavated in the 1940s. The Edzna archaeological site is located not far from the state capital, in a region called Los Chenes. This Mayan site served as a burial site for the elite, and a large number of ceramic figurines have been excavated here. Isla de Jaina is a small limestone island separated from the mainland by a tidal inlet. You need special permission to visit. 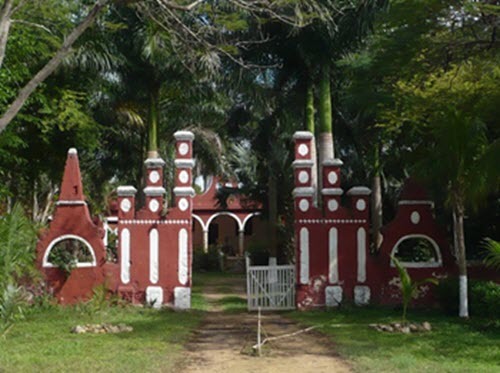 Here are a few examples of notable haciendas in Campeche. 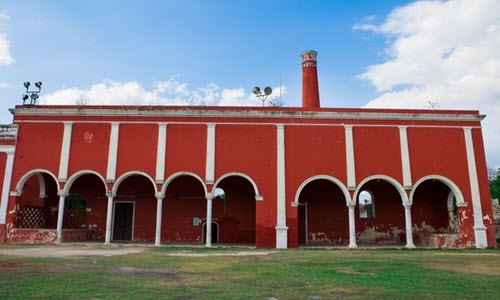 One of the bloodiest battles of the Caste War of Yucatán (1847-1901) took place here. Located in the Champotón municipality. 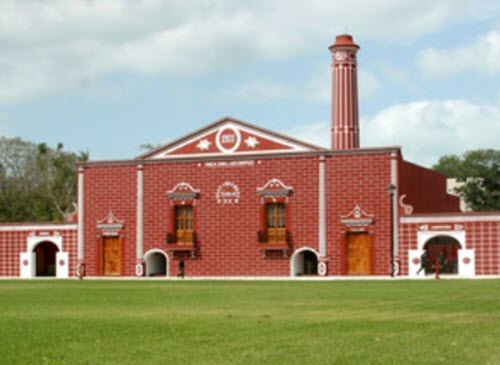 Founded in 1871, it became one of the most important cattle raising haciendas on the Yucután Peninsula. Was in continuous use until the 1940s when it was abandoned by its workers. 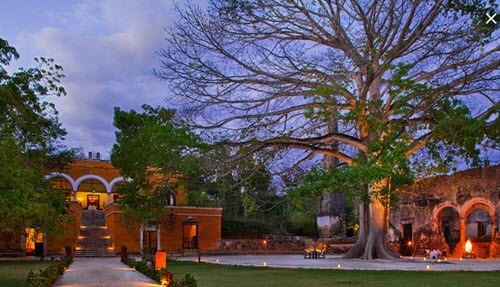 We have been informed that the Hacienda San José Carpizo has been purchased by the owner of a binary Options company operating brokers in Latin America and Asia (learn more about binary options). Local rumour say that he plans to use some of the money he earned from binary options to restore the hacienda to its former glory and turn it into a lavish private resident. We do however think that this is an urban legend. The ownership has been unclear since 1941 which has led to many myths about this Hacienda. But many people wish a new rich owner would restore the hacienda. 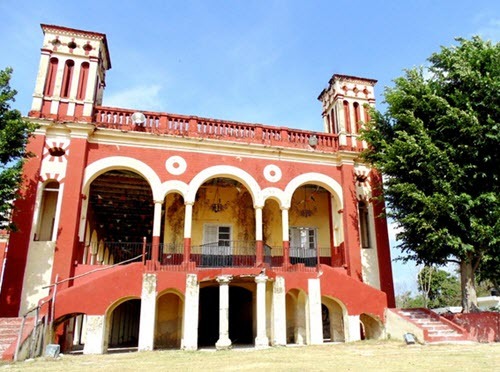 In the late 1990s, this hacienda was restored by the Mexican Army and it is now home to the Marine Infantry School. Located in the Nunkiní community, between Calkiní and the capital. Now a museum. Was built by cattle raisers in the mid-1700s. This hacienda originally grew palo de tine (dyewood), but later shifted to growing Henequen which is a type of agave. The henequen mill was in operation until the 1980s. Has its origins in the 1500s. 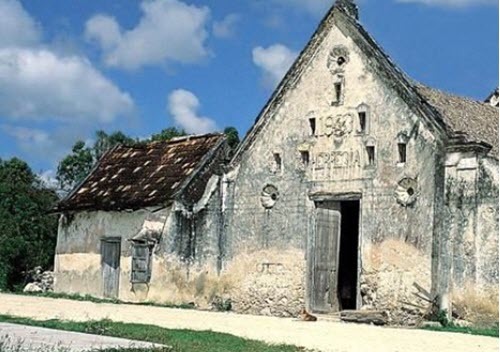 In 1685, the hacienda owner was killed by the Dutch pirate de Graaf. Today, the hacienda has been turned into the Hotel de Gran Turismo. Many churches built during the colonial era are still present in the state, including the Cathedral of Campeche, formally known as Catedral de Nuestra Señora de la Purísima Concepción which means Cathedral of Our Lady of the Immaculate Conception. This is the main Catholic church building in the state capital and also the main church for the diocese. The cathedral is located in front of the city’s Constitution Square, and is a baroque style building with neoclassic features. It’s history goes back to 1540 when the building of a catholic church was started by the Spanish conquistadors who had just occupied the city, but it wasn’t granted the rank of cathedral until 1895. Iglesia de San Francisco Campeche The church was built here in the 1500s, but the current building is from the 1600s. This is one of the very first spots where a Christian mass was held on the mainland of the Americas. The Church is located near the old stockmarket. Iglesia de San Francisco de Asís Hecelchakán A church and former monastery. The Franciscans commenced construction here in the 1500s. Iglesia de San Luis Obispo Calkiní A church and former monastery. Built over a Mayan temple in the 1600s. Has an original Baroque altarpiece from the 1500s.